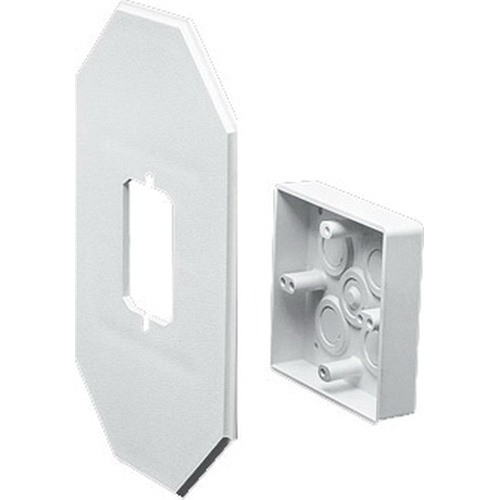 Arlington Siding box kit without flange is suitable for installation of large fixtures. It includes NM cable connector and works on all siding types. Box with 15.5 Cu-Inch capacity, features textured/paintable surface and UV rated plastic construction for long outdoor life. Kit is UL listed and CSA certified.